After much anticipation, Post Malone, born Austin Post, has made his return with a mix of ethereal bops, acoustic tearjerkers, and upbeat party tracks on his newest musical installation, Beerbongs & Bentleys. Fans everywhere had been waiting for Post’s second album ever since the artist announced that his sophomore release was to come out on December 1 of last year. 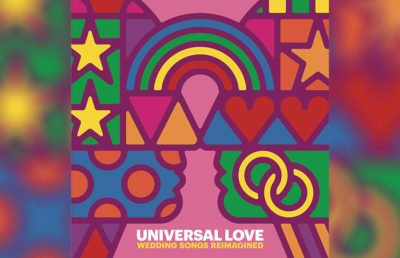 After being delayed about five months to refine the production, the 18-track compilation was finally released to no disappointment. Post dropped his debut album Stoney in 2016, and has managed to maintain his signature sound between the release of these two projects. Beerbongs & Bentleys may not be as country-influenced as his first album, but his tracks consistently share similar tones, such as echoey backing harmonies, prominent acoustic instruments and melodic vocal runs. The first track off the album, “Paranoid,” is a ghostly mix between the classic lo-fi Post Malone sound and something resembling Drake circa the “Marvins Room” era. 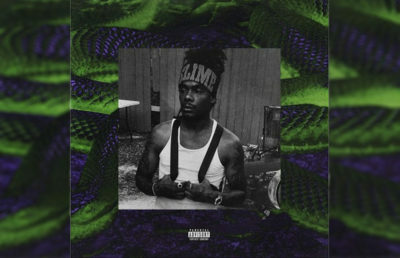 The track follows the rapper through the eerie feeling that someone is coming after you — the ominous synth is enough to convey the darker, more emotional mood that Post is known for. 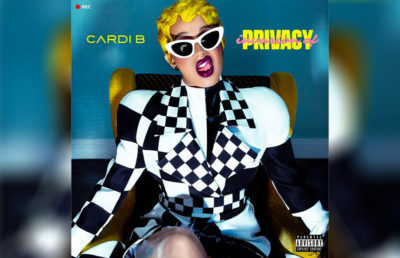 As a whole, the album presents a diverse mix of big-name features to accompany Post on the tracks — Swae Lee, 21 Savage, Ty Dolla $ign, Nicki Minaj, G-Eazy and YG. While listening to Post Malone for long periods of time can sometimes result in all the songs blending together, these features help add nice variety to the album’s dynamic. Two of the singles from this album, “Rockstar” featuring 21 Savage and “Psycho” featuring Ty Dolla $ign, reached the top 10 of the Billboard Hot 100. Furthermore, goddess of the hip-hop world Nicki Minaj is featured on “Ball For Me,” a lively track about the glamor that comes with fame. Minaj tends to make everything better — thinking especially of her iconic verse on Kanye West’s track “Monster” — and she undoubtedly brings up the energy and intensity of this song. Considering how vital Minaj has been to the music industry’s promotion of females in hip-hop, it would have been nice to see her verse take the side of the baller rather than of the woman in a rap song who is talking about how she wants her man to provide for her. While the feature still slaps, this track could have been a great place for Minaj to flex her feminine success in a heavily male-dominated genre. The token “sad boy” track is definitely “Stay,” which even rapper Rich Brian admitted made him shed some waterworks upon listening. Post Malone is known for fusing acoustic ballads and party rap anthems into his albums, but “Stay” embodies Post’s softer side with smooth, organic guitar tones and vulnerable lyrics. But anyone’s first impression of an album before listening is the cover art, and Beerbongs & Bentleys’ cover fits Post’s edgy, rock-inspired aesthetic. 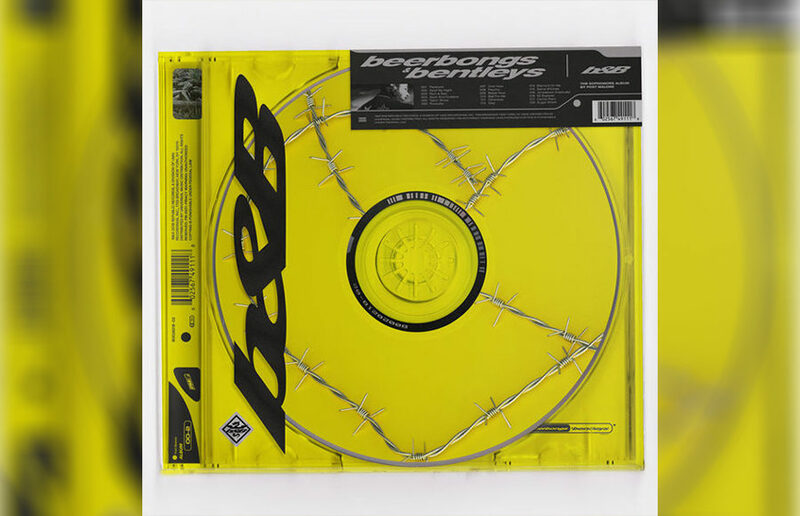 The art features a photo of a yellow-tinted physical copy of Beerbongs & Bentleys, heavily mirroring the concept behind Yeezus that Kanye West released in 2013. Both of the albums feature transparent CD cases, which in West’s case hinted at the end of physical CDs in favor of online streaming services, potentially hinting at Post’s future in releasing physical CDs as well. The album covers everything from the luxuries of fame to the dangers of being in the spotlight, and Post’s expression of this celebrity presents a surprisingly introspective take on his sophomore album. Considering it went platinum in a mere four days, Beerbongs and Bentleys’ significant theme of fame seems to have proved that Post Malone’s fame isn’t just something he sings about.